In the McGill Shakespeare Moot, students from Law and graduate students from English team up to argue cases in the "Court of Shakespeare" where the sole Institutes, Codex, and Digest, is comprised by the plays of William Shakespeare. Each year, students form from four to six mooting teams with one Law and one English student per team. From 2002-2007, their supervisors, and the originators of the Shakespeare Moot, were Desmond Manderson, from McGill's Faculty of Law at the time, and Paul Yachnin from McGill's Department of English. Jennifer Drouin built the project website. In 2018-19, the project was rebooted, with Jennifer Drouin assuming teaching responsibilities for the Faculty of Law and Paul Yachnin continuing the project for the Department of English. This is not about the law in Shakespeare's time, or what Shakespeare says about law: it is something far more radical. Our project is to think of Shakespeare as law, just as we think of the Civil Code or the judgments of the Supreme Court as law. By a process of dramatic invention and indirection, the project seeks to model and to explore the nature of interpretation, the development of a legal tradition, and the way in which value and meaning intersect in the creation of law and literature alike. The overall aims of the project are: (a) to provide an organic and responsive model for the ways in which resources to articulate social values can be developed; (b) to explore the ways in which traditions of legal and textual interpretation are created, grown, and modified; (c) to offer new insights into the normative implications of a body of work of supreme cultural significance; (d) to explore the particular nature of Shakespeare's drama, and of literature generally, as an expressive register of normative social values; (e) to consider how literature and literary thinking might influence and might have already influenced law and legal thinking. 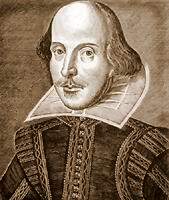 Pairing Law students with graduate scholars in Shakespeare studies and related fields, the project is intended to allow a depth of connection between the discourses of law and the humanities that is rarely achieved. Law and English students learn about the processes of reasoning and analysis in another discipline, and they come to appreciate the cultural embeddedness of these forms. At the same time, students develop their skills of argument in a new and challenging context. Above all, the students who participate in the Shakespeare Moot Project are finding themselves at a rare moment of unfettered creativity. They not only study the emergence and nature of a legal system. They make one. This is especially the case because the participants in the recent and upcoming trials create the precedents from which the future legal system will continue to grow. Each student from English teams up with a law student and writes a legal brief in advance of the trial (each factum is a maximum of 15 pages). Students argue the case before a specially constituted panel of judges. Finally, students write reflective/analytical essays near the conclusion of the course. The case is provided at the start of the course, as is also a course pack of theoretical readings. The judgments from previous trials are available on this website.